It really was a matter of time that this roundup would happen because, well, cats. And any crazy cat lady knows that feeling. It's not just a love, it's a fandom-probably-obsession. We just love, love, love those finicky, adorable, whiskery, purrsonality-filled creatures! So why not have a roundup of the best wedding trinkets and goodies paying homage to the world's best animal ever, especially after we did an entire bridal shower inspiration shoot around them? Men love their kittens, too! 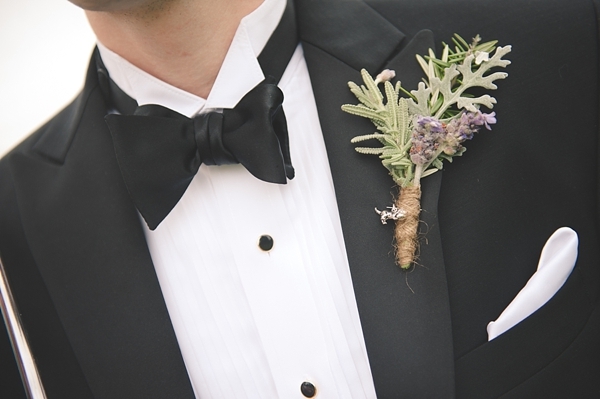 Like this real stylish groom, he gave a little nod to his cat through a little charm sewn onto his beautiful boutonniere. Love Old World touches? 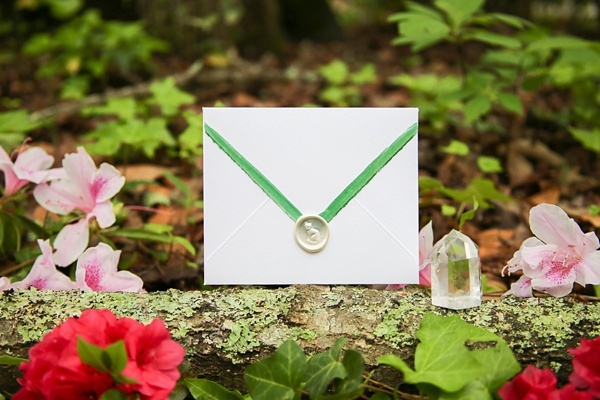 These real wax cat-embossed seals are a must-have on your wedding invitations! Just peel and stick and make someone smile when they open up their mailboxes. Because we all need a little special kitty delivery in our lives. If your kitty is one of those unconventional felines who is totally loud and proud when it comes to his cattitude in public, you might actually get to have him on your wedding day! 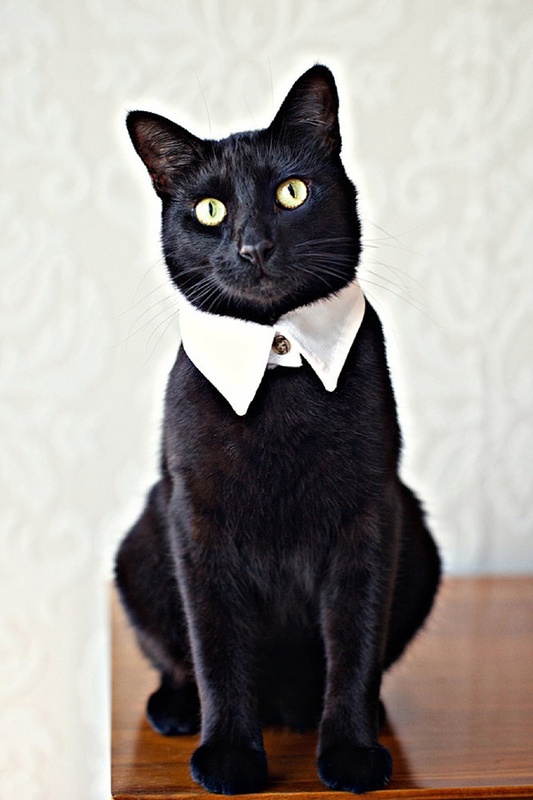 And if so, this fancy cat collar takes him from tom cat to Mr. Tom in two seconds flat. 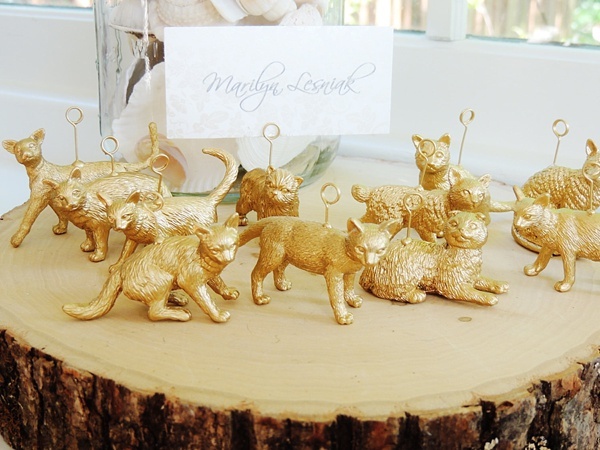 What better way to include kitty through some quirky wedding placecard holders? Your guests will not be surprised in the least when they see this super cute detail waiting for them at their tables! 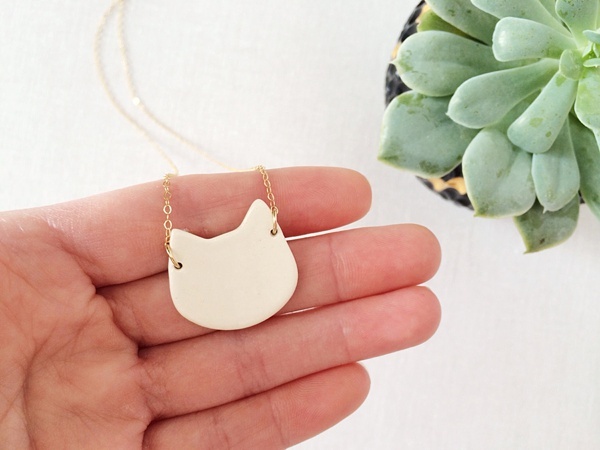 Give your ladies an adorable yet modern chic way to bring kitty into the wedding day! 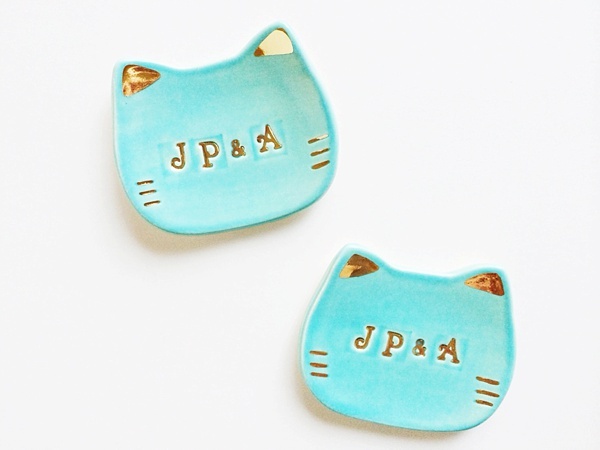 Or if you have another theme, these ceramic cuties are purrfect for a great cat-inspired bridal shower! Beautifully unique, these handmade chalkware figures are the purrfect cake decorations for any kitty lovin' couple! Not even going to lie... cat dads and crazy cat guys make me all goobly-swoon inside. 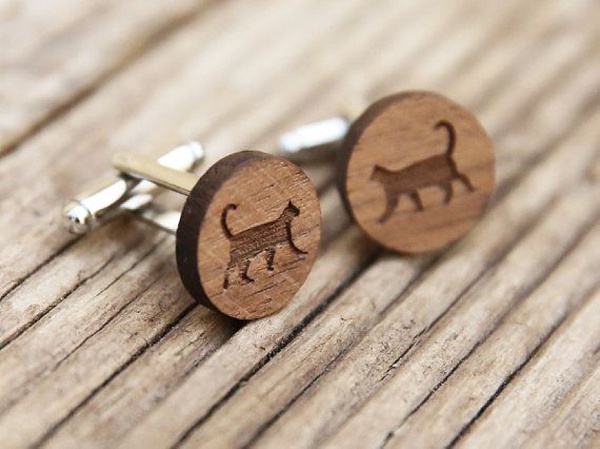 And any groom or groomsman spotted donning these walnut beauties should be warned. They have been known to attract crazy cat ladies and gents, and they may result in unavoidable iPhone photo sharing of furbabies at home. For rustic brides and grooms, this woodland-inspired cat ring pillow is simply amazing. If you can't have Kitty walking you down the aisle, this is definitely the next best thing. 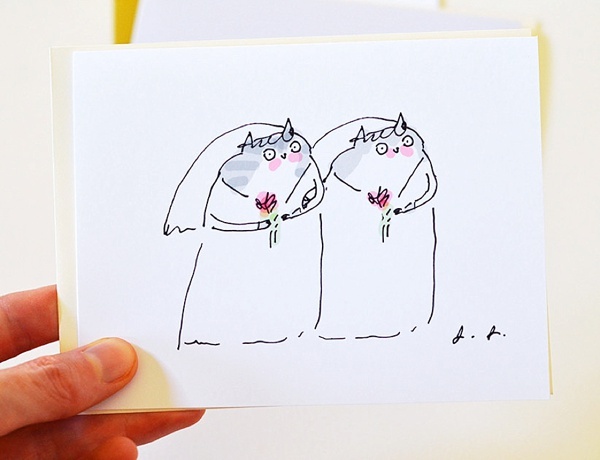 Known for his whimsical cat illustrations and prints, Jamie Shelman has a card and print for every occasion. So if you're a greeting card lover, her wide selection of cats, cats, cats is diverse and guaranteed to be well-loved by any engaged couple. Ring dishes have been around for centuries, but these whimsical modern ones shaped like cat heads are a fab detail to keep your trinkets in on the wedding day and after! 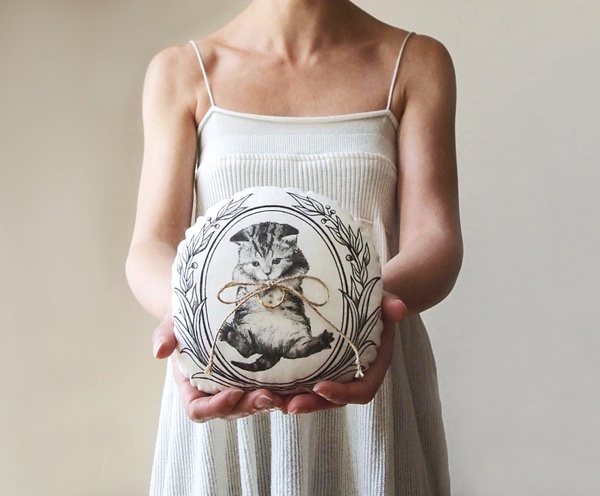 Need more to satisfy your inner crazy cat lady? 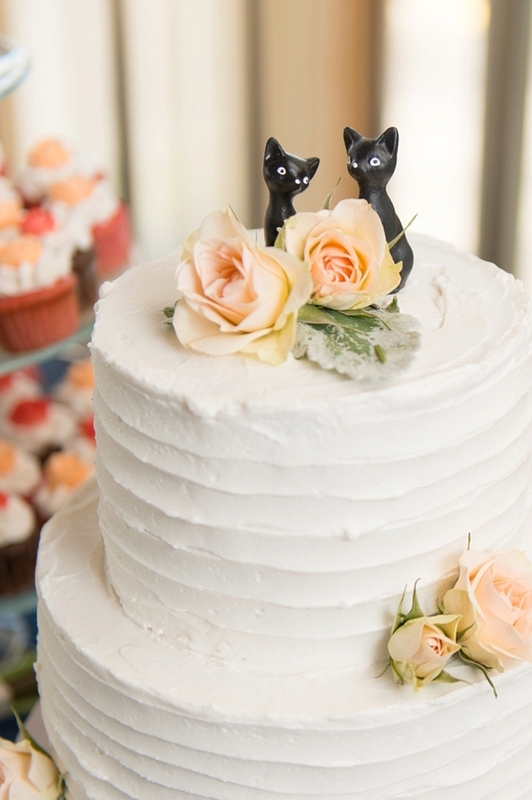 Don't forget to check out our Modern Cat Bridal Shower Inspiration, How to Include Your Cat in the Wedding, and of course, our favorite Pinterest board: It's a Nice Day for a Cat Wedding.